Video on demand service SeeSaw is bringing in a whole new advertising system that will allow people to choose which advert they want to watch ahead of their programmes from a list. The Ad Selector system allows targeted advertising by user choice, with SeeSaw partnering with tech company Branient. 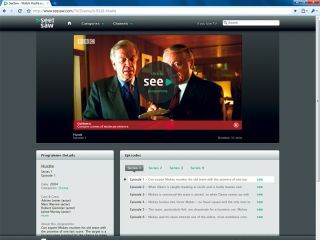 The system has been a success in the US, and the UK incarnation will offer up a choice of three adverts for pre-roll to anyone watching one of the programmes through the SeeSaw service. Ben Williams, Head of Advertising for SeeSaw commented: "We're excited to launch the Ad Selector format - a win-win for the advertiser and the user. "The Ad Selector is simple and effective, essentially giving the user the choice to pick the advert they wish to see. "This puts the user in control of the advertising experience and therefore increases their engagement and purchase intent. "Our vision is to create a unique environment for advertisers to reach their audience through innovative methods, and today's announcement is the first step towards this with more initiatives in the pipeline." Of course, advertising in any form is never going to be popular, but it will be interesting to see if people find a modicum of choice makes these 'short messages from our sponsor' a little less annoying. That's if we're not left with a Hobson's choice of Jamie Oliver for Sainsburys, Cilit Bang and the Halifax radio ads.